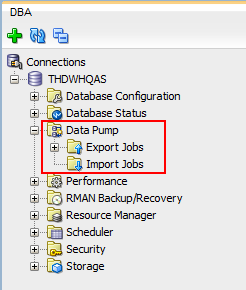 Oracle Data Pump works with the file system of the database whereas Export and Import utilities works with the client file system. Data Pump Export unload data and metadata into a set of operating system files called a dump file set. The dump file set exported can only be imported only by the Data Pump Import utility. You can get this error if the database is not open.